New Year’s Eve. 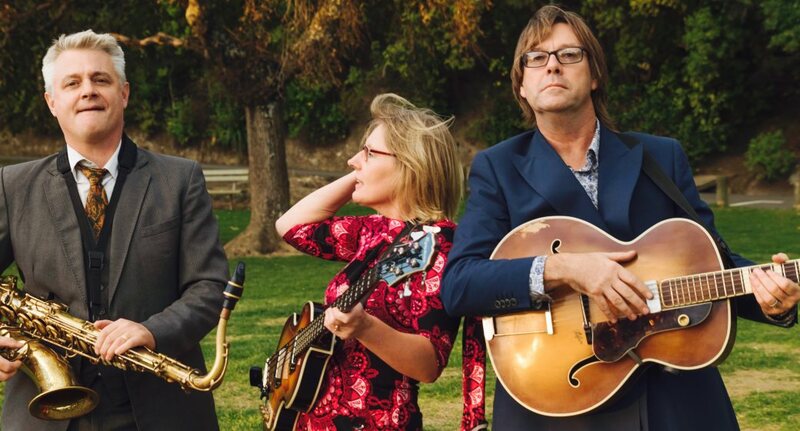 Four of us arrive, dressed in appropriate finery, at the pre-arranged time of 7.00pm, to set up to play at one of New Zealand’s most remote and exclusive rural resorts. We have been contracted, through an agent, to facilitate New Year’s celebrations for a couple of dozen guests. We are shown to the room in which the festivities are to take place, but told we can’t actually set anything up until 8.30, half an hour before we are due to start. ‘Easy’ we reassure the French maitre d’. We offload the gear and our van is whisked away out of sight by a helpful young minion. ‘Perhaps we can have our meal (included in the contract) now, then?’ we ask. ‘Certainly’ he says, ‘Follow me to the staffroom’. We follow him up some stairs. ‘Here’s a loaf of bread’ he says, reaching into the freezer. ‘You can thaw it out in the microwave and there are sandwich ingredients in the fridge’. 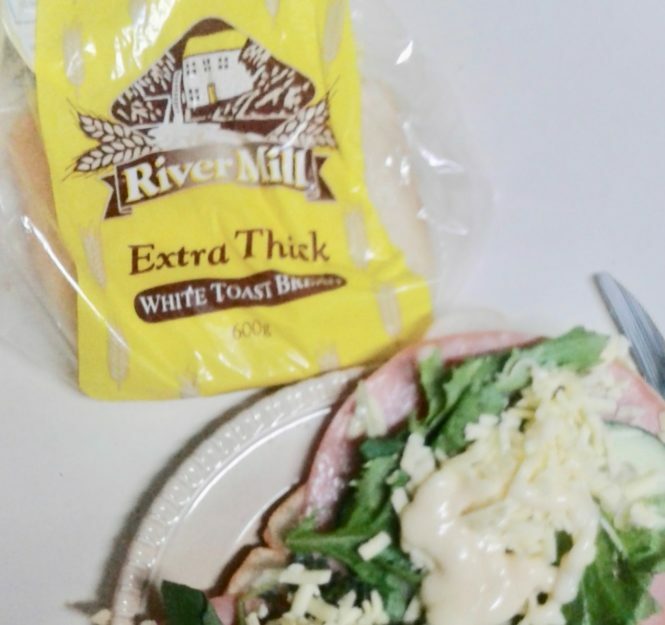 The bread is River Mill white extra-thick toast-sliced. There is pre-grated supermarket cheese, ham from the same source, sliced tomato and lettuce, and an industrial-sized plastic squeeze-bottle of mayonnaise. We are all in stitches by now, although the humour is a little forced. We set off at 4.00pm to get here and know we won’t finish till 1.00am. Packed up by 2.00am and hopefully back at our accom by 3.00am. Almost a 12-hour stretch and this is our opportunity to fuel up. Fortunately there is a toasting machine which make the assembled sandwiches palatable, although none of us can stomach more than half of one. There is a memo from management to staff on the notice board, demanding the staff keep the place clean and threatening to remove food, tea and coffee facilities if ‘we can’t work together to make this a nice environment, showing respect for all’. We wash and dry our dishes afterwards to show our respect for all. We meet the manager who seems pleasant enough – surely not the author of the threatening memo in the staffroom? We ask if we can have a drink. ‘No I’m sorry, we don’t allow outside contractors alcohol on site, but I’ll give you something to take away when you finish’. Nothing else is offered to us all night. We are fetched at 8.40 and manage to get set up by 9.15. We fill plastic cups with tap-water from the staff room and play till 10.45 to an empty room – of course the guests are all in the dining room down the hall. The maitre d’ enters at 11.00 and instructs us to ‘up the tempo’ as he is about to bring them through, and a dozen or so revellers arrive and begin to revel. They all have champagne. As midnight approaches one of the waiters arrives struggling under the weight of a huge bottle of champagne (Methuselah?) from which he tops up the guests’ glasses. Two or three members of staff are by this time all joining in with their own glasses, but soon glasses are dispensed with and the bubbly conveyed directly from bottle to mouths, some of whose owners are lying on the floor. Despite the ‘Animal House’ comparisons, it’s all very well-behaved, jolly and oddly seems entirely proper. Our staffroom tap-water is going down a treat. A pleasant young lady offers us her glass of champagne which we share between the four of us. Happy New Year. Her partner tries to shake hands with each of us even though our hands are full of musical instruments which we are trying to operate in the usual manner, and most of us are singing, so unable to talk, but he seems sincere and genuinely affable, if not very bright. The guests are all agreeable young folk – mostly American by their accents, and happily dance away till 1.00am, our agreed finish time. They all offer polite thanks and wander off to their luxury chalets. We are exhausted and famished after playing almost four hours with only one short break. There is a plate on a sideboard left over from pre-dinner canapés – half a dozen spring rolls, pizza squares and a handful of calamari pieces. A couple of us help ourselves. ‘Can we have a drink now?’ we ask the maitre ‘d. ‘But the manager said he’d give us something when we finished’. ‘The manager left hours ago, and anyway, you’ve helped yourself to the left-over canapés – that’s your compensation’. We pack up. The young fellow who whisked the van away is nowhere to be seen, neither is anyone else. I explore the environs of the palatial resort in the rain, plodding through the gardens, pool area and tennis court looking for my van with my phone torch. I locate and load it up and we leave, feeling we have done a pretty good job, and making wry jokes about other New Year’s Eve gigs we have played, and whether this one actually happened in New Zealand. Fast forward two weeks and Kirsten and I arrive at a small restaurant in Lower Hutt where we play maybe once every couple of months for an amount barely worth crossing the Haywards Hill. The owner greets us warmly and, while we set up, she fetches us a pinot gris, a peroni and a beautiful antipasto platter. We play for an hour and chat with the punters while she refreshes our drinks. We play for another hour and sit down to two wood-fired pizzas. She gives Kirsten some flowers and an envelope with some cash and a thank-you card.